LSU deputy athletic director Verge Ausberry told the New Orleans Advocate that Tittle died Sunday night surrounded by his family. Known as "The Bald Eagle" as much for his sturdy leadership as his prematurely receding hairline, Tittle played 17 seasons of pro football. 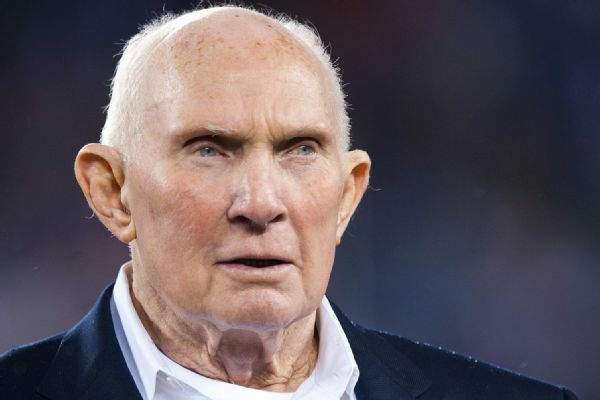 He began with the All-America Football Conference's Baltimore Colts in 1948 and finished with the NFL's New York Giants. He played 10 years in between with the San Francisco 49ersbut had his greatest success in New York, leading the Giants to three division titles in four years in a remarkable late-career surge.